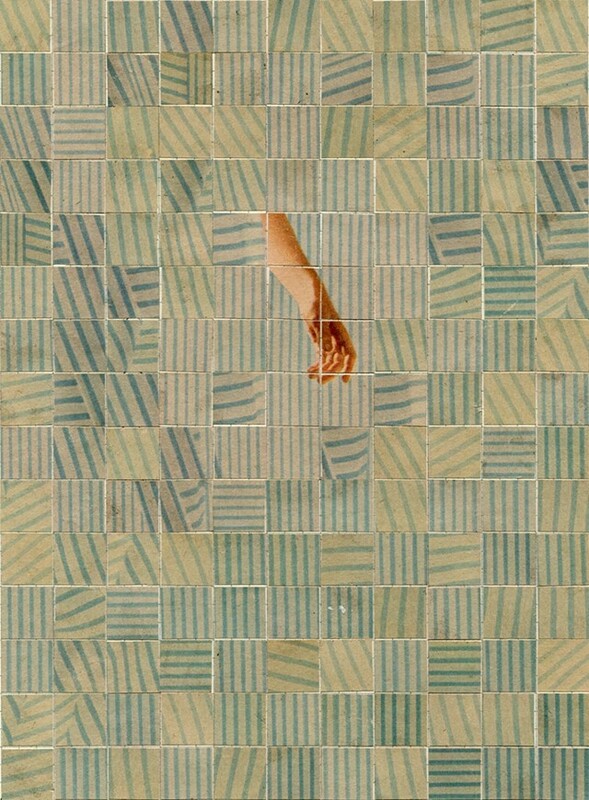 Artist and photographer Anthony Gerace creates dreamy compositions in paper – often working chromatically, and using tiling to abstractive effect. "I’m really curious as to where the threshold point for a subject is," he explains of his approach. 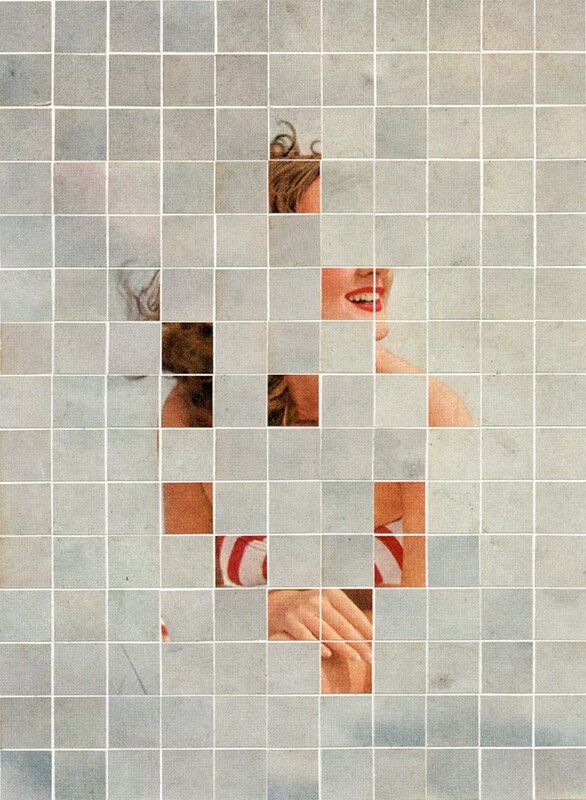 "How much can you remove before the structure collapses; how long before the meaning of the thing you’re looking at gets washed away by kitsch and nostalgia, that kind of thing – and I think collage is the perfect medium to deal with and genuflect upon that." For his latest exhibition, There Must Be More to Life Than This – opening at Twenty14 Contemporary, Milan this November – Gerace has taken this concept one step further. "Lately I find myself inspired by movies and television and seeing the craft that goes into those," he says of his thought process behind the 53-part series. "In particular, I like seeing the way things converge and the way something that seems totally messy and random can reveal itself to be a structured, elegantly mechanical system where everything in the scene is totally integral to its overall impact." Indeed, each piece from the show sees an orderly image deconstructed and reconfigured in a new, abstruse manner – faces are interrupted by squares of block colour, arms float, bodiless, from a sea of stripes. And yet, the use of equally sized tiles combined with Gerace's knack for visually harmonic configuration results in just that: an elegantly mechanical artwork that is at once systematic, yet profoundly evocative in that it doesn't open itself up for straight-forward interpretation. 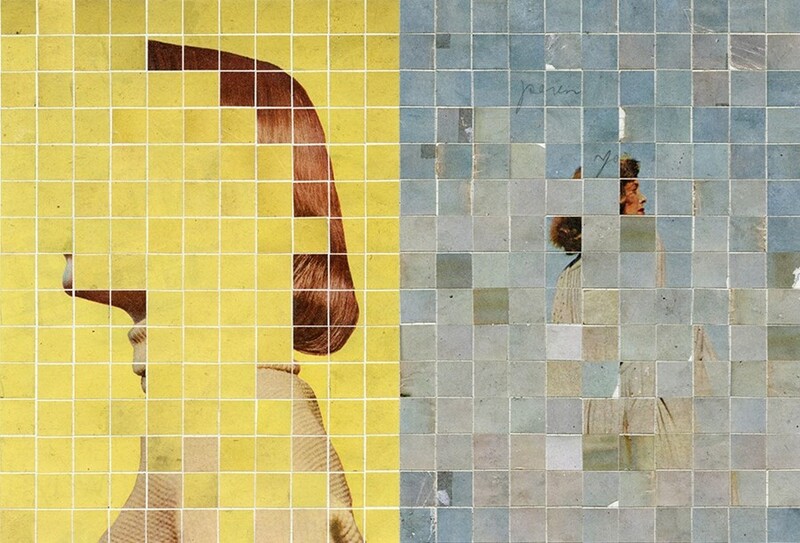 The Canadian-born, London-based artist first turned to collage out of a self-professed love of paper and has been working tirelessly in the medium for the past six years, carrying out commissions for a diverse range of clients, from The New York Times to The Wellcome Collection to the Ace Hotel. Each piece he creates varies greatly in terms of production time, from a few days to a few weeks, and that doesn't include the many hours Gerace spends sourcing his plethora of unique imagery, spanning "old film and culture magazines from the 1920s to the 1950s through pre-war cabinet cards." 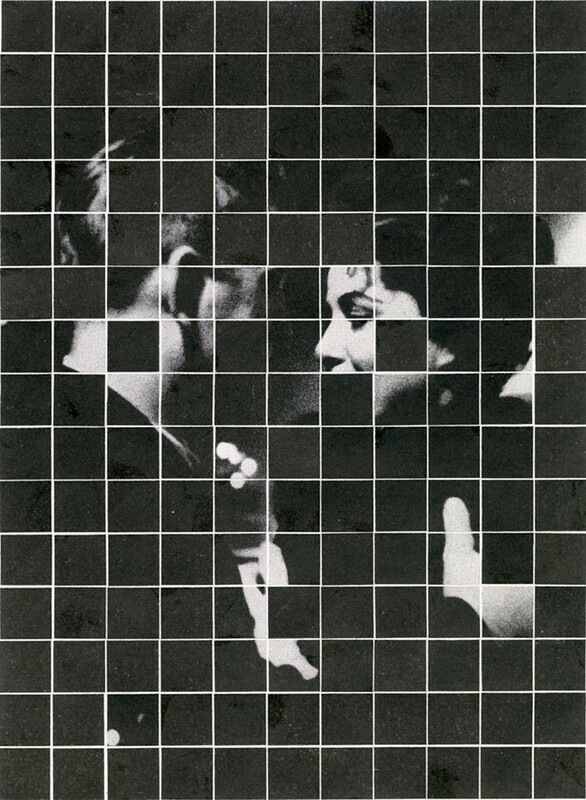 There Must Be More to Life Than This will open on November 19 at Twenty14 Contemporary, Milan.